C’mon remember the Watergate break-in? Former CIA operatives were part of that. But wait, Nixon himself was being surveilled by the FBI. Anna Chennault, a GOP operative had interesting connections all throughout Asia. Those relationships were of big concern to the FBI and the Bureau was tracking those connections. That was all related to the Paris Peace talks on North and South Vietnam. 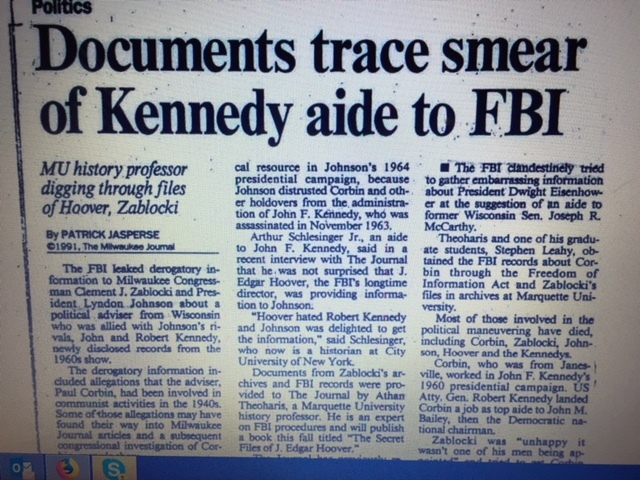 Due to FBI eavesdropping and collections of diplomatic cables, Lyndon Johnson knew all about Nixon’s subterfuge. Have we forgotten the secret Nixon tapes? Too bad we can’t ask Mark Felt questions, dead men tell no tales. Using intelligence agencies is an old habit yet Obama appears to have made an art of that exploitation. Obama spied on journalists including James Rosen of Fox News. Obama likely approved of John Brennan’s operation to spy on the senate staffers working on the enhanced interrogation techniques report headed by Senator Dianne Feinstein. Heck, Obama spied on Angela Merkel of Germany. Enter the NSA, they have everything. Edward Snowden proved that right? Not too sure FISA warrants were ever really needed in the first place, think about that. It is all old news. Old news and old tactics that get refined to due electronic communications, apps and encryption. So, how do we know about these activities? Follow the money for starters. Remember the DNC and Hillary law firm, Perkins Coie. Stefan Halper goes all the way back to the Reagan/Carter days. Oh, wait, even Gerald Ford and George HW Bush were included in Halper’s political history. Is there a difference between spying, intelligence collection and being a political operative? You decide. There is more, How about Paul Corbin? He was a communist. 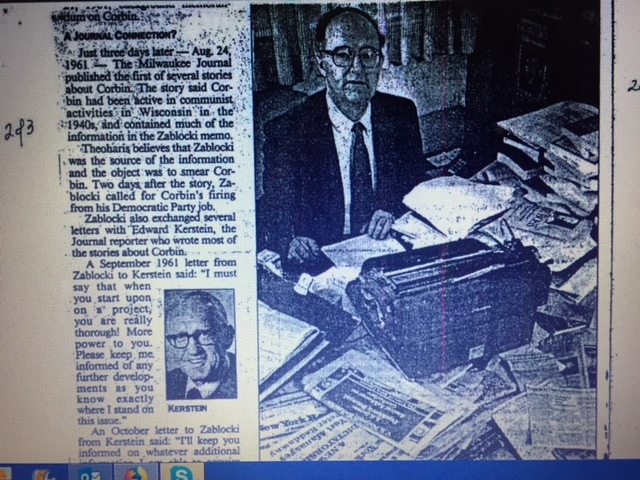 And yes, he was an campaign operative too. 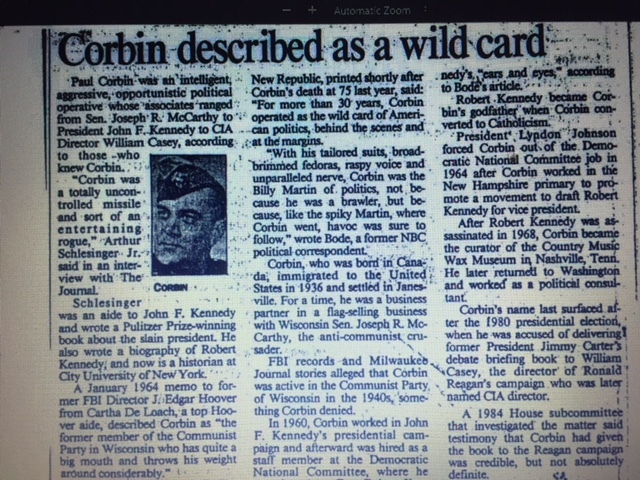 He worked on the John F. Kennedy campaign. There was also ‘Debategate‘. Moving on and do NOT hang your hat on Carter Page. Remember the Washington Post editorial board doing an early interview with Trump and a question arose about his foreign policy team? Well, Trump threw out 2 names from the hip, Carter Page and George Stephanopoulos. In fact neither had any quality role in the Trump operation. Another was Zalmay Khalilzad, former U.S. ambassador to Afghanistan, Iraq and the United Nations. Heck Trump never met Khalilzad. He remains a back channel fella with concerns still with Pakistan, Afghanistan and Iraq. Khalilzad was part of a money laundering investigation in 2014. Could he be an operative too? With those facts, does it stand to reason that the FBI rank and file agents are very concerned about foreign operatives in politics and campaigns? There is for sure an argument to be made that informants and plants are not only used by required. The tactics are tried and true…however, when will the media much less the Republicans call out the abuse of power the Obama administration on all of this? In summary, the Trump administration should fight back and impeach those Obama operatives, what say you? Posted in Citizens Duty, Cyber War, Department of Homeland Security, DOJ, DC and inside the Beltway, FBI, government fraud spending collusion, Media corruption, NSA Spying, Presidential campaign, Russia, The Denise Simon Experience, Trump Administration, UN United Nations Fraud Corruption, Whistleblower.